On February 4, 2016 Ward Bucher of Encore Sustainable Design hosted the Ruth Starr Rose Project Planning Committee at our Easton, MD office. Attendees included Richard Marks, Joan Levy, Kathy Bosin, Kathy Dill, Lisa Gritti, Lois McCoy and son Cameron, Rima Parkhurst, and Richard Potter. Kathy Dill presented a proposed schedule of visitation by Talbot County public school students. 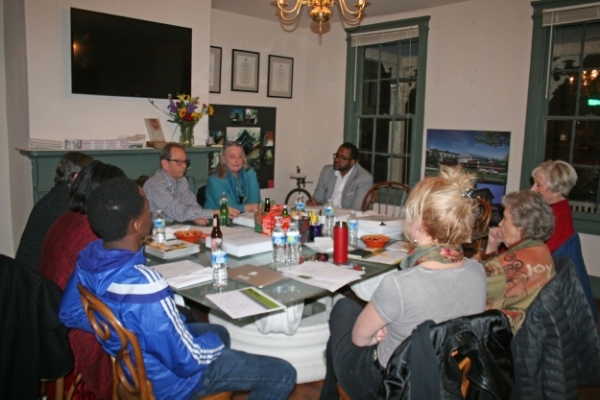 The Committee also discussed marketing, community outreach, and the exhibit installation at the Easton Armory building in April.